Like many communities, the North Niagara Federation of Agriculture was struggling to emphasize their values. They approached us with a goal to communicate the importance of shopping local when it comes to sourcing fresh products - an impact not only affecting the farm communities, but also to Niagara as a whole. 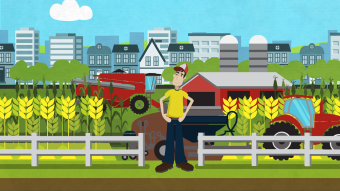 Over the years, many studies had been done to measure the impact of agriculture on the economy of the Niagara Region. Even with staggering evidence in support of local farms, NNFA was struggling to explain and share this information with their communities and politicians. In particular, they wanted to share the data that arose from the 2011 Census of Agriculture in the area of the Golden Horseshoe of Niagara. There are a great deal of interesting and meaningful statistics shared through this data. Sharing this information in a clear and engaging way would ensure a growth in awareness and support for local agriculture - particularly in political sectors. When we started working with NNFA, we knew a strong script would be the foundation for spreading this message of economic impact in Niagara. Through collaboration with the client, we gathered the most impactful statistics from the Census of Agriculture documents and drafted up a script. We framed the message with an intro about our rich agricultural landscape and the beauty of Niagara. We then focused on explaining each carefully curated statistic in simple and clear language. The script process for this project was particularly challenging since we were conscious of the limited duration of successful explainer video, but we were also looking for relaxed and laid back voiceover talent. With some back and forth, we managed to find a good rhythm and in turn, a favourable balance between voiceover speed and script brevity. The goal for art direction was to create simple and colourful visuals. We wanted to convey the bright and lush landscape of Niagara with several shades of greens and then using reds and browns to colour the farming communities. We also wanted to tell the story with characters - so we created a few different stylized farmer characters. Through collaboration with the client we narrowed down the specific look for each farmer, so they felt authentic and homegrown to the location. The final video we delivered communicated all the aspects that we had planned to deliver. A clear script, simple and engaging graphics and eye catching animations. Character animation was an important part of the video, so I spent a good deal of time creating and rigging well designed characters. 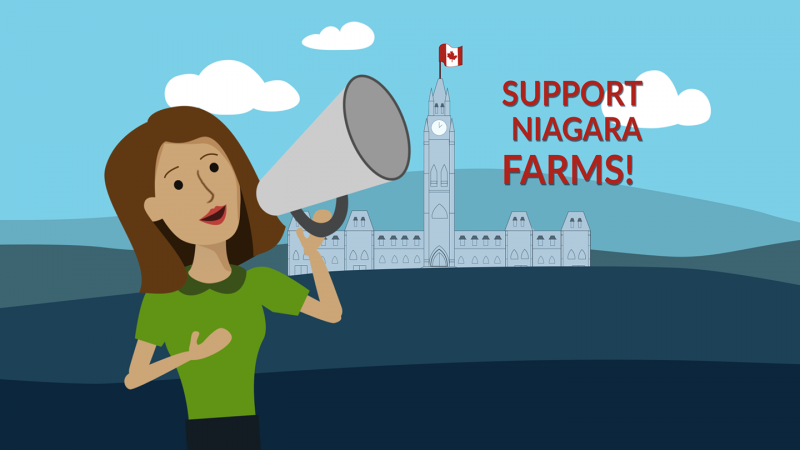 North Niagara Federation of Agriculture - Promotional Video from Sandra Tournemille on Vimeo. Currently the client is presenting the video to various political groups and local communities in meetings and presentations. The plan is to share the video on the NNFA website and also share amongst social networks. They have also used screen shots of the video in printed promotional items to use at conferences and trade shows. 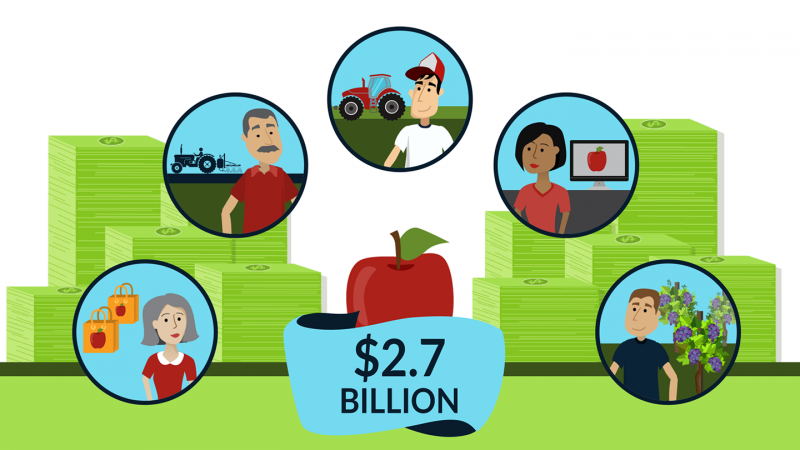 With an explainer video, the message of economic impact on the Niagara region is now shareable and accessible in a way a document could never achieve. We enjoyed working with NNFA, as they were committed to working within our production process and very much open to collaborating with us. Particularly during the script and storyboard process.